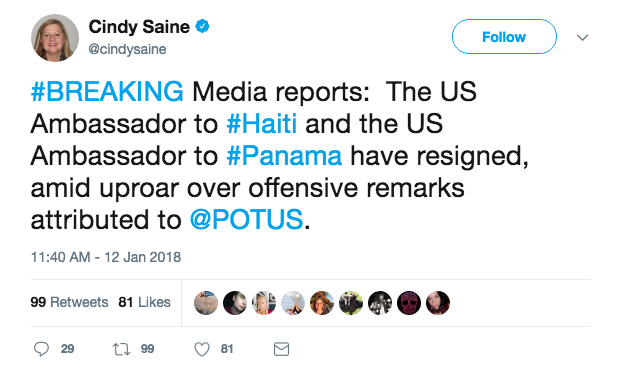 Making matters worse, an unsourced rumor cropped up on Twitter claiming the U.S. 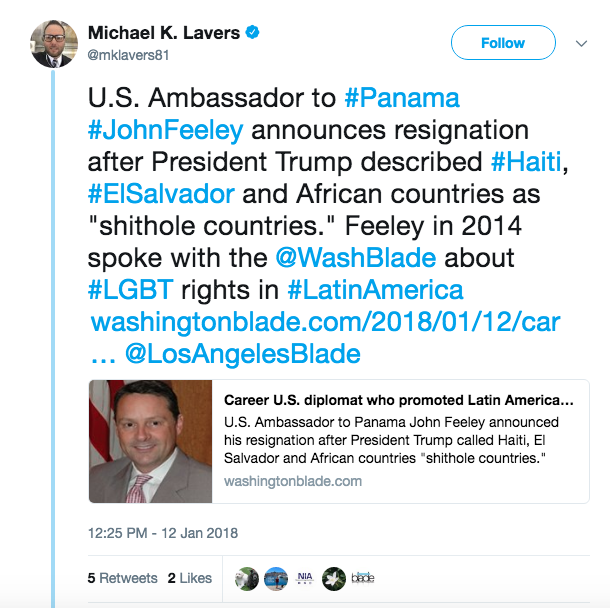 Ambassador to Haiti had also resigned. That claim was then perpetuated by several journalists and Trump critics. 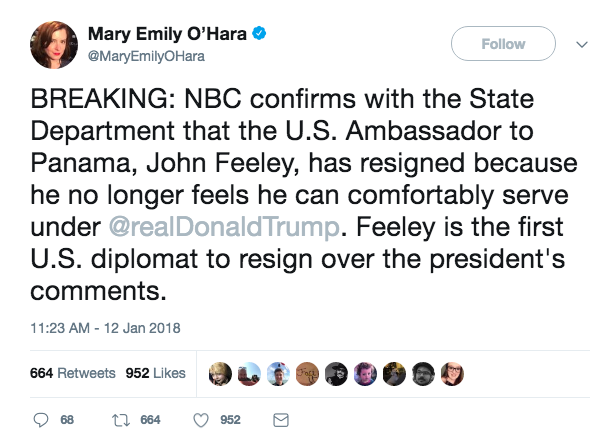 It would have been difficult for the U.S. 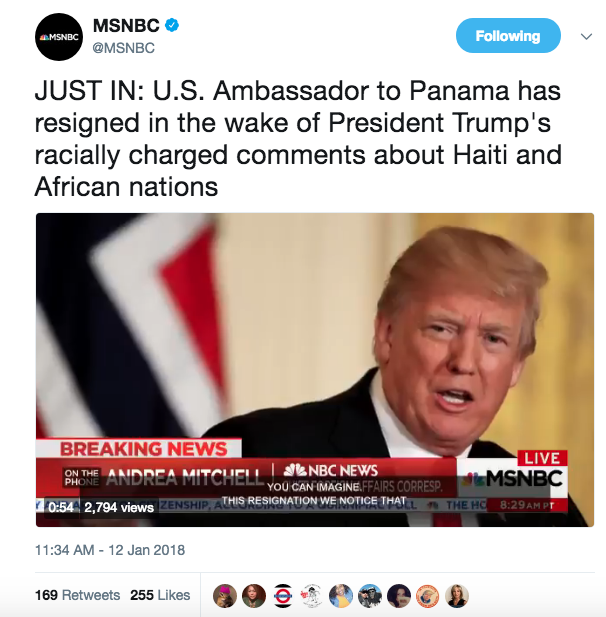 Ambassador to Haiti to resign given there is no U.S. 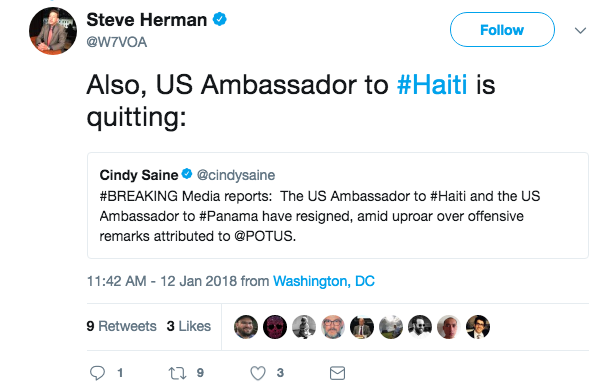 Ambassador to Haiti. 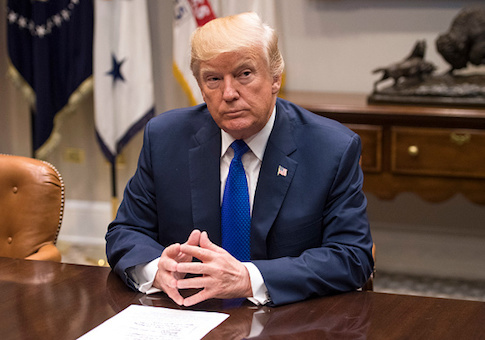 Trump appointee Michele J. Sison was confirmed by the Senate in November, but has yet to be sworn in. 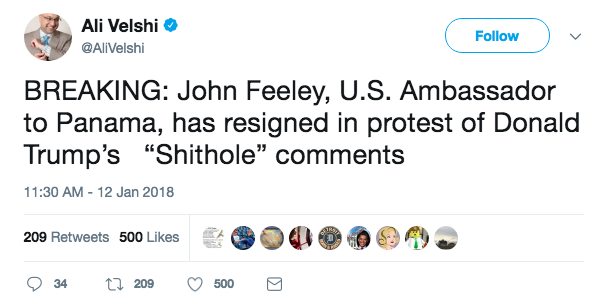 This entry was posted in Politics and tagged John Feeley. Bookmark the permalink.